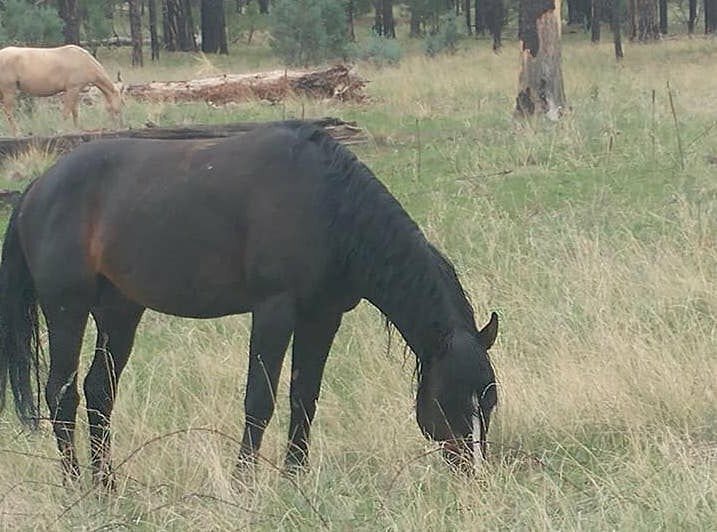 HEBER/OVERGAARD — Apache-Sitgreaves National Forests (ASNF) representatives are still unable to comment on the investigation into two dead horses found between Oct. 11 — 13 off of Forest Service Roads 50 in the ASNF. “There is no press release because the Forest Service is unable to comment regarding an open investigation,” says Steve Johnson, Apache- Sitgreaves National Forests Public Affairs Office Information Assistant. “Until the investigation can be completed fully, we cannot discuss any details or answer any questions about the horses,” he added. The investigation into the death of the horses is in the hands of the Law Enforcement Division of the Forest Service which operates independently of the Black Mesa Ranger District where the horses were allegedly shot to death. For now, it is unclear if the shooting of the horses was intentional or if the two incidents are even related. Although the investigation is within the jurisdiction of the Forest Service, the Navajo County Sheriff’s Office (NCSO) has set up a tip line at 1-800-78-CRIME or Dispatch at 928-524-4050 for anyone who has information about the death of the horses. 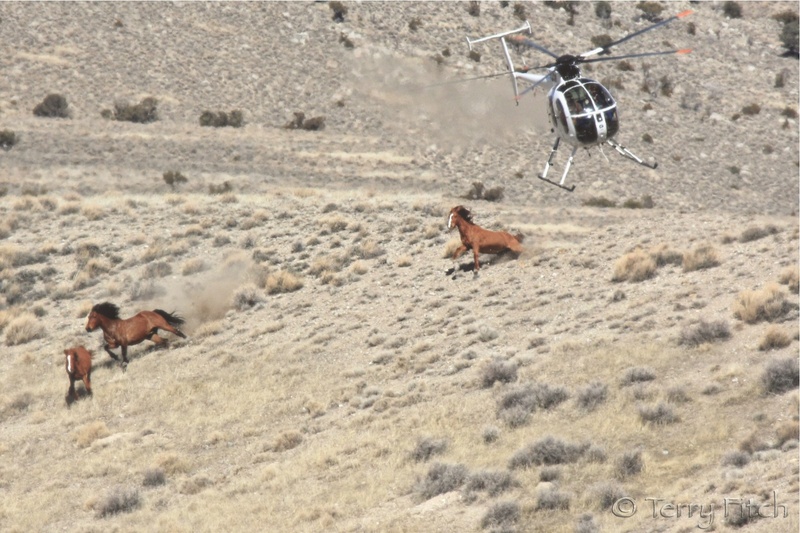 The NCSO social media page also indicates that there is a $2,500 reward “For the arrest and conviction of the person(s) involved in the shooting of wild horses east of Heber/Overgaard.” The $2,500 was put up by an anonymous donor according to Citizens Against Equine Slaughter (CAES). “For those that may not feel comfortable calling the Sheriff’s office tip line, they may call 541-315-6650 directly and anonymously,” says Val Cecama-Hogsett of CAES. “Tips are already coming in on the line,” she added. 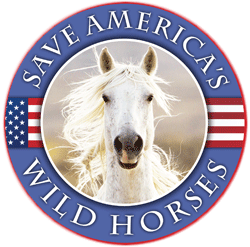 Horse advocates call Washington D.C.
“The Forest Service is not taking this seriously so we have escalated the issue to Washington D.C., “ says Cecama-Hogsett. “We offered to have our veterinarians go out and remove the bullets from the horse carcasses at our cost after the horses had been lying there for five days,” Cecama-Hogsett explains. “The horses aren’t seen as any value to the Forest Service so they don’t care,” says Cecama-Hogsett. 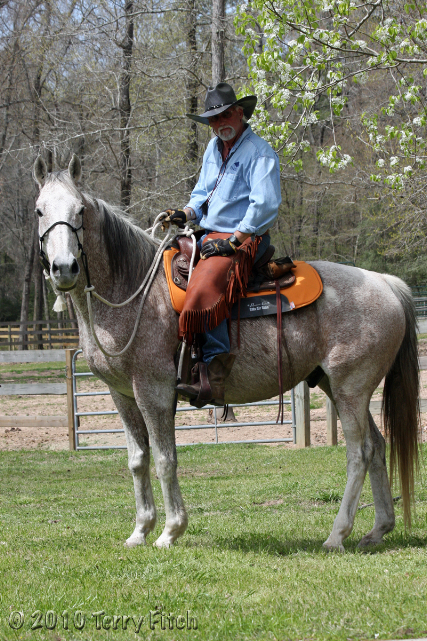 The Heber horses continue to be a hot-button for horse advocates, local residents, ranchers, government agencies and a variety of stakeholders that disagree on how and who should manage the free-roaming horses. Some consider the animals feral, while others consider them wild, deserving protection under the Wild Free-Roaming Horses and Burros Act of 1971. Johnson is also one of the lead staff for the Heber Wild Horse Territory (HWHT) in the Apache-Sitgreaves National Forests and says that the HWHT collaborative work group has moved the management plan forward significantly during the last year. They have plenty of expertise when cattle are killed by predators or humans, and extensive policies in place to compensate livestock owners for losses as well as prosecute offenders. There is no justification or excuse for USFS not to provide similar responses to the American public for criminal killing of our wildlife. It would be useful to compare the number and dollar amounts expended related to livestock losses on USFS lands, as well as prosecutions, with any such related to loss of wild horses. I have no recollection of any justice ever being acheived by USFS for illegally killed wild horses, please correct me if I am wrong. Perhaps the BLM shot these horses too? Might explain the abject incompetence in pursuing the guilty. “So in my opinion, the best thing to with these up here would be remove every one of them. Whether they go to adoption, or, you know, I hate to say it, euthanized or to a slaughter plant,” Gibson says. Here in the southeast Idaho area, hundreds of thousands of acres are annually grazed by domestic sheep in bands of hundreds to thousands of animals. You will sometimes see the herders, their horses, Pyrenees and sheep camps along some of the highways or Forest roads. One of the side effects or costs of this livestock grazing on our National Forest and BLM lands is the associated predator control and killing of wild animals such as bears, wolves, mountain lions and coyotes. Other costs include watershed degradation, erosion, stream damage, compromised fisheries, displaced deer and elk, and the compromising of the habitat they need in summer and winter. For those of us who love wild places and wildlife, this domestication of the landscape is a huge cost. The Pyrenees is one tool sheep permittees use to protect their sheep from predators and it is a method advocated by some environmental groups to stop predator killing. Unfortunately, here in the west, we don’t see any abatement of the effort to poison, trap, shoot and otherwise diminish these wild animals many of us never have an opportunity to see outside Yellowstone. What have I learned about Pyrenees here? From talking to livestock owners, Forest Service staff and others, it seems the dogs are left to their own devices with training consisting of being put with sheep as pups to have them identify with the sheep and stay with them while avoiding human contact, taking advantage of their protective nature to fend off predators. Some report they are beaten to keep them away from the sheep camp, not fed to avoid human contact and left on their own devices to feed. This subjects them to being killed for chasing wildlife and one wonders if they ever saw a vet.